Just two and half hours north of New York City, Hudson blurs the line between urban and rural. Long known as an antiques mecca, it’s now becoming the new destination for accomplished chefs to open restaurants, so they can cook closer the source of the ingredients they’re using. From the owners of Grazin' Angus Acres in Ghent, NY, they are serving organic and biodynamic (when possible) food, including their own grass-fed Black Angus beef. "This is our go-to spot for a coffee when we are running errands or enjoying a day off. They use a rotating selection of high quality coffee roasters, including Tandem Coffee Roasters from Portland Maine, who is also our supplier at Gaskins." "We come here to buy Sparrowbush Farm’s polenta, cornmeal or popcorn. It's is an ideal edible souvenir. They grow the corn and freshly mill the polenta and cornmeal, making it the most perfect version you’ve ever tried. We use their polenta from our lemon polenta cake and the cornmeal in our fried chicken. They are at the Hudson Farmer’s Market every Saturday." Roadside stand with fresh baked goods, breads, pies, jams, pickles, vinegars, mustards, produce and seasonal fruits. Locally-grown apples and apple cider. Bonfiglio & Bread | Photo Credit: Find. Eat. Drink. Specializing in hand-made hearth breads and Roman-style pizza. A former 7,000 square foot supermarket now filled with antiques dealers. They pick what they carry based on their own vineyard visits, as well as tastings. Knowledgeable staff, including Kathleen Miller, who studied with the International Court of Sommeliers, and Erin Carr who worked at Eleven Madison and The Modern in NYC). This is a cheese and gourmet food shop and catering company. Executive chef Mona Talbott worked at Chez Panisse and has written two cookbooks. "They have a selection of charcuterie and items to go that I’m particularly enthusiastic about." "This is the perfect place to stop for a snack or a sweet treat. They have prepared foods, sandwiches and the tastiest hand-pies. Their house-made cookies are also my favorite, especially the coconut macaroons. If they are serving chocolate cake make sure to get a big fat slice. Often I’ll get a cup of their bouillon instead of coffee." Artisanal small batch ice cream sold out of a tiny store front on Warren Street. "Lick is a Hudson staple with very high quality ice cream. 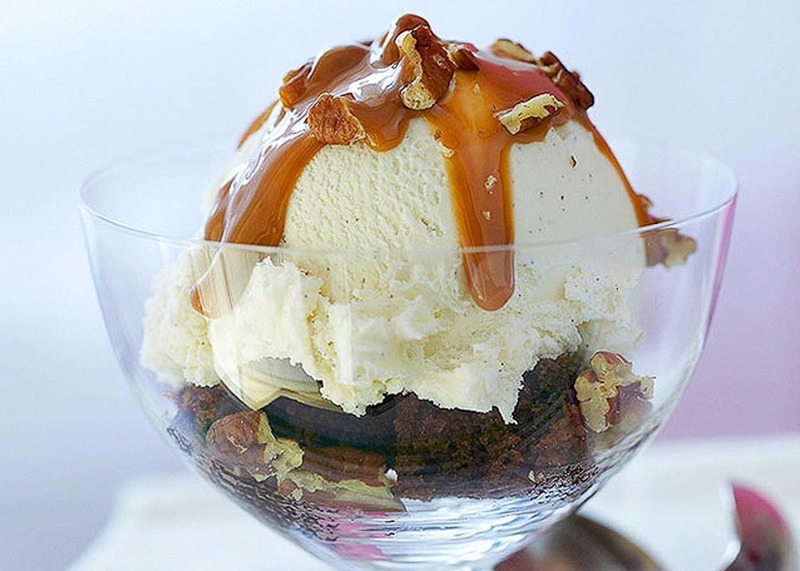 The salted caramel and pretzel gelato is a personal favorite." "For a late night drink, there is always energy there, especially on the late side, and they have a great draft beer selection." "They make a perfect cortado. Their beans are from Irving Farm Roasters in Millerton, NY. Their little cafe is attached to a beautiful new hotel, restaurant and bar. We also often find ourselves on nights off having dinner at the bar here, where we inevitably run into lots of other local business owners enjoying a cocktail." "We've had the pleasure of staying in their chic and comfortable rooms. But what we're really looking forward to is cocktails by the fire in the lobby, beers in their bar and brunch on the weekends." Located in the historic Keystone Buildings, the co-chefs worked at the Michelin-starred WD~50 on Manhattan's Lower East Side before opening up here. The dinner is a tasting menu and they also have an inventive cocktail list, plus sake, beer and wine. From Fried Green Tomatoes to Applewood Smoked Ribs to Fried Chicken, enjoy a Southern-inspired menu and stay for a music show. They have two performance spaces, a full service restaurant, outdoor dining, a gallery and a lounge. Fresh Southeast Asian cuisine made with Hudson Valley ingredients from chef David Chicane who worked in Boston and New Hampshire. "Food studio does a really good job accommodating to gluten free patrons, which is always a relief to my partner when she dines here. The menu is small, well-designed and supports many local farmers. The spicy chicken with rice noodles is a favorite." Small 39-seat restaurant in a former garage with a hyper-local focus. Derek Grout’s family has been in the apple business for 50 years and have 200 acres of farmland. Harvest Spirits produces a vodka, an Applejack brandy, a pear brandy and flavored versions of vodka and brandy using black raspberries, peaches, and cherries. Co-chefs and owners of The Crimson Sparrow in Hudson, NY. Chef and owner of Local 111 in Philmont, NY. Chef and owner of Crossroads Food Shop in Hillsdale, NY. 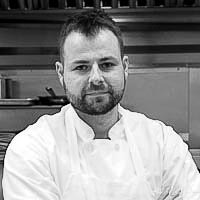 Chef and owner of John Andrews in South Egremont, MA. Chef and owner of Nudel in Lenox, MA. Chef at Prairie Whale in Great Barrington, MA. Chef at The Red Lion Inn in Stockbridge, MA. Chef at Allium in Great Barrington, MA. Chef and owner of the Monterey General Store in Monterey, MA. Executive chef and co-owners of Gaskins Restaurant in Germantown, NY. A double-header art tour of Storm King and Dia: Beacon. After you’ve had your fill of art, fill your stomach with some local eats.